Source tagging is an effective solution to fight theft. Retailers sometimes combine this with RFID. Century Europe knows every challenge that may arise in source tagging. At what time of the production process should the tag or label be applied? Should it be sowed, glued or pressed? We consider every aspect of the production, packaging and supply process to find the best source tagging solution. We offer a large assortment of labels, tags and complimentary products for different types of merchandise, varying from fashion to food items. Source tagging is the process of applying electronic article surveillance (EAS) labels or hard tags directly in or onto the product during the manufacturing or the packaging process. This saves time and money, since retailers do not have to attach the security labels (or tags) to the product in the store anymore. Products that arrive in stores can be sold directly and are protected in the best possible way. Century Europe provides standard and tailor-made solutions enabling the best performance in every circumstance. Retailers and manufacturers can count on a high-quality, reliable and secure protection of products, tagged at the source. Goods are ready to sell, which will result in considerable operational cost savings. Tags and/or labels can be either entirely hidden or clearly present, depending on your requirements. In cooperation with logistic partners we also offer recycling programmes suited to your needs. Would you like to know more? Please download our source tagging catalogue or feel free to contact us. Century Europe takes all important elements into account to provide the best source tagging solution tailored to each specific situation. Sometimes tags should not be visible, sometimes they should draw attention or present your brand logo. We supply for example source tagging labels that are waterproof. Labels that are transparent or in a different shape and that can be overprinted, if necessary. All of our labels and tags can be fully customized. It goes without saying that each label or tag should not alter the product’s or packaging’s appearance and it should be impossible to manipulate the label or tag. Let Century Europe help to maximize product security and to save on costs. Find out more about us. Source tagging is applied in various markets. 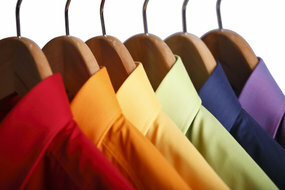 Century Europe offers for example source tagging solutions for shoes, clothing, medicines, cosmetics and perfumes. Products that are usually difficult to secure, such as items and packaging that contains metal or fluids, can be effectively protected from theft. Read more about three markets in which source tagging is often applied. In apparel (fashion and accessories) and footwear, source tagging is often applied to optimally protect various articles. Learn more about the challenges that store owners in this market has to deal with by following the link below. Drugstores and other health & beauty retailers choose source tagging for a wide range of products. Click the link below to find out more about the challenges with regard to internal and external theft in this specific market. 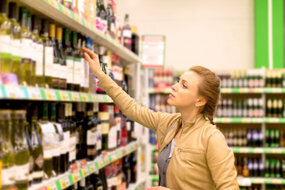 Stores that are active in food and beverage industries sell an enormous variety of products that need to be protected. Find out more about this market and the pain points that retailers are dealing with by following the link below. Century Europe’s product range consists of labels, hard tags and complimentary products, offering a fully integrated source tagging solution. We assure a perfect and reliable protection and, detaching and deactivation.